Direct rival to the Toyota Venza crossover beautiful is about to make its entry in dealerships of the brand. 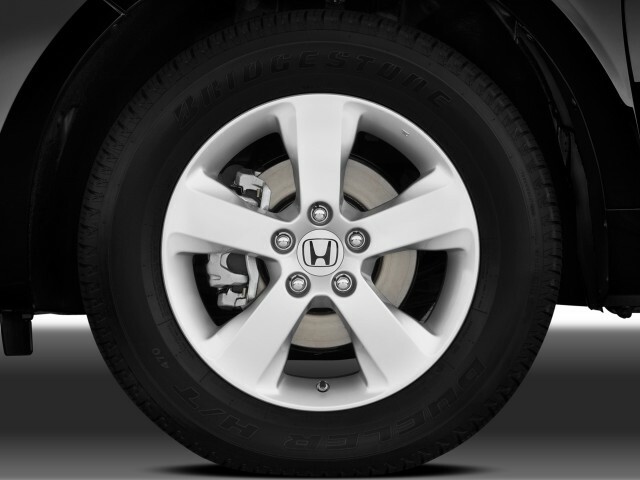 For the occasion, Honda Canada announces pricing for this newcomer, whose style has great difficulty to do unanimously. TORONTO (November 19, 2009) - The all-new Honda Accord Crosstour 2010 is ready to make his entrance at Honda dealerships across Canada on November 24. It will be available at retail price suggested by the manufacturer (MSRP) of $ 34,900 for the EX-L model has two wheels. It is also proposed in EX-L four-wheel drive and top-end version EX-L Navi with navigation system connects satellite Honda. All models are equipped Crosstour V6 engine 3.5 liter 271-horsepower. "With the recent reduction of our sedans and cuts current Agreement, the price of the all-new Accord Crosstour is designed to make this vehicle an attractive option for Canadians who want the handling and performance of a car the Allied functionality of a sports utility vehicle, "stated Jerry Chenkin, Executive Vice President of Honda Canada Inc." The Accord Crosstour implements a versatile design to provide such a practice interior than a larger vehicle, while maintaining a driving experience similar to that of a car. " The Crosstour is designed to fulfill several roles, both in terms of style and function. Its bold exterior design gives it a prestigious presence of the first, while the luxurious style of the interior extends from the cockpit to the storage area. Increased functionality is provided by a storage space located at the rear of the vehicle, under the floor equipped with reversible panels. The access to the storage space is facilitated by a wide opening tailgate and low levee height. Power is provided by i-VTEC V-6 engine 3.5 liter 271 horsepower with deployant technology Variable Cylinder Management or VCM destiny to maximize power and efficiency energetics. The system VCM cylinder deactivation program is to act on 3, 4 or 6 cylinders as needed power to ensure excellent fuel consumption of 11.5 l/100 km (city) and 7.2 l / 100 km (on the road). The automatic gearbox is 5-speed serial ADVANCED. As for its capabilities CUV, the Crosstour is equipped with a system of transmission 4WD in real time (Real TimeMC 4WD). The Accord Crosstour is available in three models: EX-L two-wheel drive (MSRP - $ 34,900); EX-L 4WD (MSRP - $ 36,900); and EX-L 4WD Navi (MSRP - $ 38,900) with a navigation system connects satellite, a reverse camera and mobile telephony interface FreeLinkMC Bluetooth. Standard features of the Accord Crosstour EX-L include leather-trimmed seats, heated front seats, a leather steering wheel and shift knob leather gear; automatic climate in both areas with ventilation at the second row; an audio system AM / FM 360-watt 6-disc changer, XM Satellite Radio, USB and a seven-speaker audio interface; a folding rear bench 60-40 easy to handle; aluminum wheels and 18-inch all-season tires 225/60R18 M + S; a box use any removable hidden; a HomeLink transmitter; a sunroof; a driver's seat with memory and electric adjustment has 8 positions more lumbar support; tilting exterior mirrors a memory; automatic closing and opening of lateral driver and passenger side windows side; ignition and automatic headlights off; tinged glass at the back; integrated audio controls on steering wheel; compass and external temperature; fog lights; chrome handles; the lateral electric mirrors, body-color with defrost function, and more. Safety, technology has offered structure Advanced Compatibility Engineering (ACE ™ or to "Advanced Compatibility Engineering" body structure exclusive Honda which improves occupant protection in a frontal collision. 's Equipment Security also includes the system of electronic stability assistance Vehicle (VSA ®), anti-lock brakes with electronic distribution of braking power and brake assist, side curtain airbags with rollover sensors, airbags for the driver and the passenger seated in the front and the front lateral sensors with Occupant Position Detection System (OPDS) passenger side airbags, airbag has two phases and multiple thresholds in the front and active restraint system restraints before head. The Accord Crosstour is built at the factory Honda of America Mfg.., Inc., East Liberty, Ohio.